Ping’s latest offering promises to be their fastest, most forgiving driver ever. It was good enough to debut at the U.S. Open, but does it perform in the hands of the average golfer? When I first started playing golf, I was given a set of clubs (with bag) by the person who introduced me to the game. He found it at a garage sale and bought it for me so that I would have my own clubs to play and practice with. It was a set of irons, 4-PW, with a random SW and an old blade-style putter that rattled when I shook it. It was enough to get me going in golf, but I knew at some point that I would need a driver. Fortunately I had some pretty good friends, as another friend of mine eventually found out I picked up the game and gave me his old PING G2 driver. I loved hitting that club. Granted I was still a very poor golfer, but it made a world of difference just to have a driver that happened to be easy to hit. I even drove my first par 4 with it (honestly I haven’t driven many since). It’s been almost ten years since that first driver but I finally have another PING driver, the G400. I’ve gotten a little better over the years but still maintain a love/hate relationship with my driver. Will the PING G400 revolutionize my game like the G2 so many years ago? Read on and see. 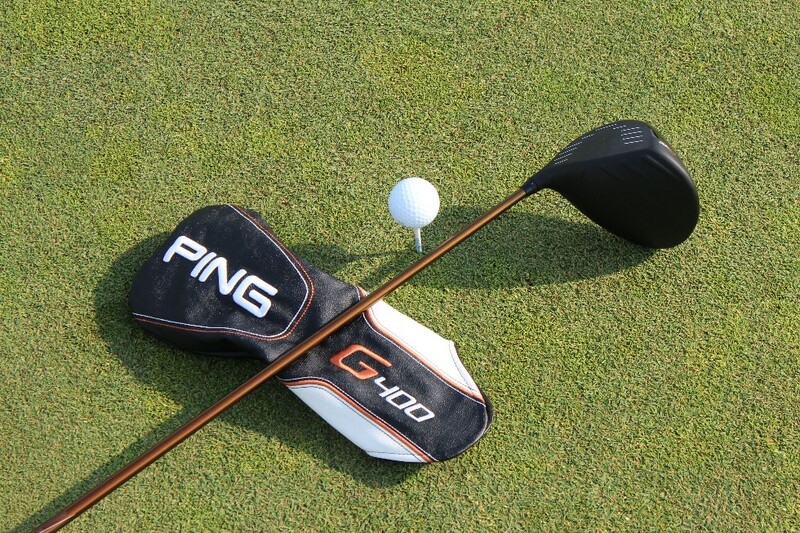 The PING G400 driver lineup features three different heads. The standard G400 is the best fit for most players, the LST (Low Spin) is for those looking for less spin, and the draw-biased SFT (Straight Flight) is designed for those who need a little more help with their slice. All are loaded with technology, so if you need to take a break and grab a snack or something, now would be a good time to do so. I’m kidding of course… about the snack part. The G400 clocks in at over 9,000 combined MOI, making it one of – if not the most – forgiving drivers on the market. This is pretty amazing considering that the G400 is only 445cc, making it slightly smaller than its 460cc peers. The general rule has always been larger clubhead = higher MOI, which is why most drivers today are the maximum allowed 460cc. The fact that PING’s engineers are able to achieve this MOI with a smaller head is a significant accomplishment. PING has been known for a while now for their Turbulators. First introduced with the G30 driver, they are designed to affect the air flow around the clubhead by reducing aerodynamic drag, which improves clubhead speed. PING, however, is not a company that just sits back upon its laurels. 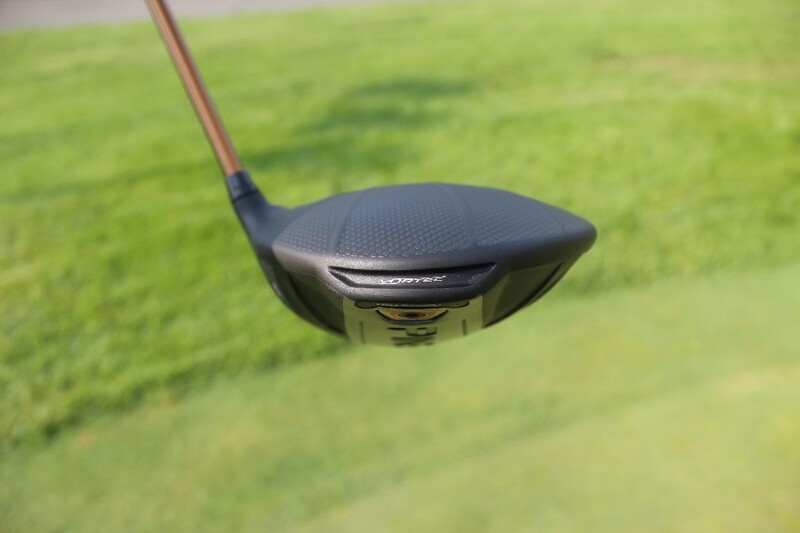 They made the G400 Turbulators wider in order to reduce drag when the clubhead is oriented more heel forward, as it is during most of the swing. This is part of the reason for the smaller profile head. When combined with the Vortec technology first introduced in the G driver, PING’s engineers have reduced the amount of drag on the G400 by 40% mid-downswing, leading to an overall increase in clubhead speed. The Dragonfly technology is also back, only this time it extends all the way to the skirt of the club,. This creates what PING calls the “infinity edge” effect which looks really sharp (more on the looks later). Dragonfly technology allows the crown to be made thinner, which saves weight high in the clubhead. This allows the engineers to move that weight to a lower part of the clubhead in order to optimize the center of gravity location. This affects MOI and launch conditions, making the club more forgiving. Also contributing to a greater MOI is a new tungsten backweight which gives PING more precise control over of the CoG. Its location varies depending on what model you have. In the standard G400, it is located in the back behind the tuning port to move the CoG low and back for high launch and forgiveness. In the LST model, it is in front of the tuning port which shifts the CoG forward to reduce spin. The SFT has the weight more towards the heel for more draw-shaped gear effect. 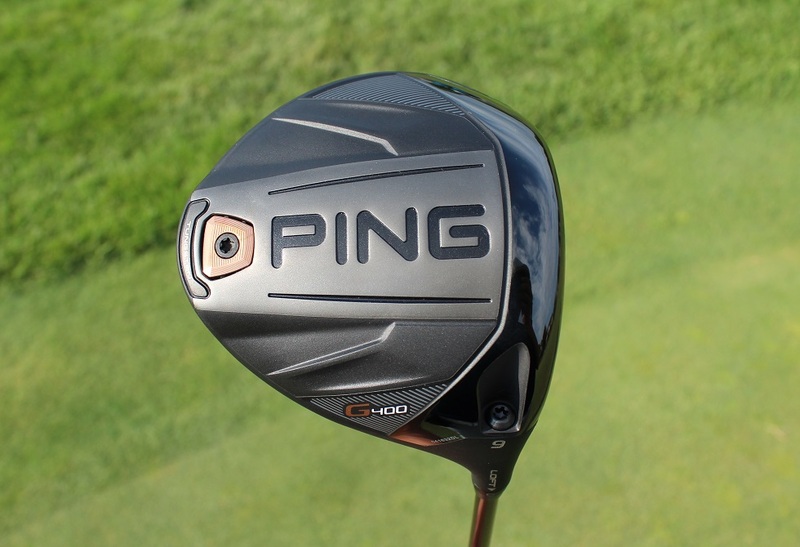 PING has also incorporated its first forged face in a driver with the G400. The reason behind the forging is to create a stronger face material so that it could be made thinner. This increases ball speeds across the entire clubface. More ball speed means longer drives and less yardage lost on off-center strikes. The new manufacturing process also allows the designers to have more precise control over the contours of the face, reducing the dispersion of mis-hits. PING’s adjustable hosel from the G30 and the G drivers is also back. It is engineered to have the same weight and aerodynamic profile as their non-adjustable hosel, which means you get adjustability without adding any mass that could affect the performance of the club. It allows the loft to be adjusted in five settings: stock, +/- 1°, and +/- 0.6°. I’m going to get straight into the crown first because there is a lot going on there. I’ve been a fan of the Turbulators for a while now and the wider ones still appeal to me. They do a great job of framing the ball at address and serving as an alignment aid. What I really like best about the crown is the Dragonfly technology with the infinity edge. The lines are stylish and work with the overall shape of the clubhead really well. I didn’t like it as much on the G driver because the way it ended at the back looked a little clunky, but the infinity edge looks sleek. There are these little bumps towards the skirt which as far as I can tell have no effect on the performance of the club but looks good with the total package. The entire crown is finished in matte black which helps reduce glare. 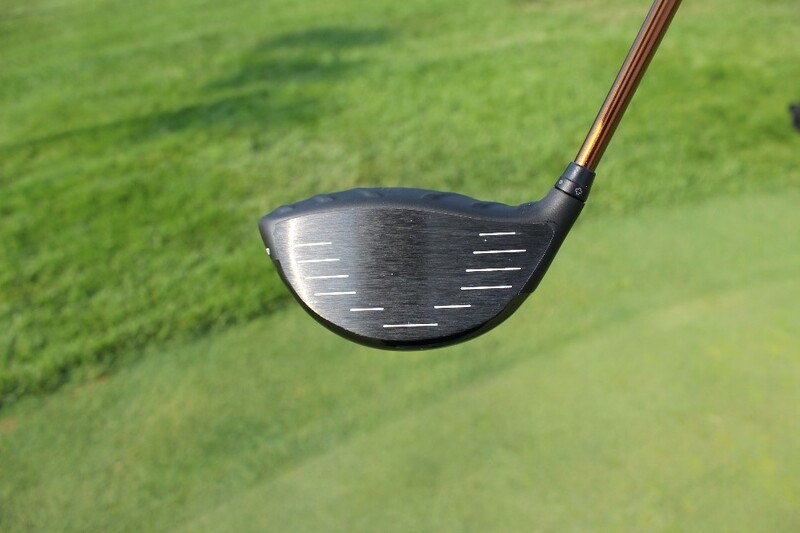 The rest of the clubhead has a clean, minimalist feel to it. Everything is done in a two-tone black and gunmetal with slight accents of copper, which ties in well with the copper colored Alta CB55 shaft (stock option). There’s nothing to adjust or move around under the club so it looks simpler, in a good way. PING didn’t get too flashy or busy with the design patterns either. I like it. Speaking of the stock shaft, the Alta CB55 is finished with a color-shifting paint which transforms from a vibrant copper color to almost black as you set it down at address. It’s a cool effect and even though some people won’t play the stock shaft, it’s worth mentioning. The G400 driver comes in three models: G400, G400 SFT, G400 LST. The standard G400 has a 445cc clubhead weight 206g and comes in either 9° or 10.5° options. Stock swingweight is D3. The G400 SFT has a 445cc clubhead but comes in slightly lighter at 203g in either 10° or 12° options. Stock swingweight is D1. 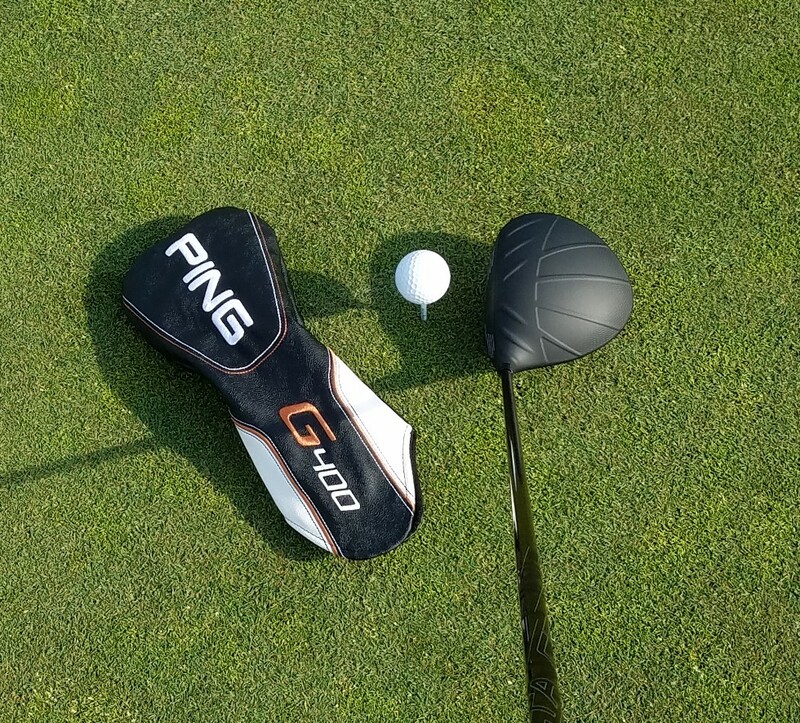 The G400 LST has a 445cc clubhead that’s slightly heavier at 208g in either 8.5° or 10° options. Stock swingweight is D4. The stock shaft is the Alta CB55 and comes in soft regular, regular, stiff, and x-stiff flexes. Standard length is 45 3/4″. You can also get the G400 with either PING’s Tour 65 or Tour 75 shafts as well as the Aldila X-Torsion Copper, Mitsubishi Kuro Kage Silver Dual-Core TiNi, or the Project X HZRDUS Yellow. There is an upcharge with all of the other shaft options. The standard length for the PING Tour and aftermarket shafts is 45 1/4″. The G400 driver retails at $399. For this review, I received the standard G400 with the Alta CB55 shaft in stiff flex, trimmed to a playing length of 44 1/2″. Every manufacturer will tell you their latest driver is faster, longer, and more forgiving than those of their rivals. I haven’t been able demo a lot of different drivers this year so I can’t tell you that the G400 is the most forgiving driver out on the market today. What I can tell you is that it’s the most forgiving driver I have ever hit. Despite my best efforts to hit the ball all over the clubface (i.e. my regular swing), the club launches the ball effortlessly. I made a comparison on the range with some of my other drivers as soon as I got it. What I noticed right away was that the flight was much better with the G400, even on mis-hits. It can be hard to be exact on the range in terms of identifying yardages, but I did reach the back of the range much more often with the G400 than any other club. The big takeaway from that first day for me was the sound and feel at impact. I feel like in almost every review I write, I mention something about how I like the sound of a solid club at impact. The G400 delivers exactly that for me. It makes a good crack or thwack sound and lacks the usual tinny quality that I hear in pretty much every driver. It almost sounds like a wooden club. The only times I managed to get it to sound and feel hollow were when I really struck the ball out on the toe. It’s a really pleasing sound and feel that just makes me want to keep hitting it. The true test of any club is the on-course experience. As a Game Golf user, I am able to go back and look at my shot data objectively instead of relying on just my perception. By isolating my club performance data for my recent rounds and selecting an equal number of rounds played with my previous driver and the G400, I was able to get a good picture of just how well the G400 performs. I felt that I hit the G400 better, but I was surprised to see the results. I hit the ball farther with the G400, both on good shots and slight misses. According to Game Golf, my expected yardage with the G400 is 8 yards longer than that of my old driver. The difference between the averages of all my shots including misses is even more extreme, with the G400 ahead by 22 yards. On the extreme ends, I hit my best shots farther with the G400 and more often, and far less really bad shots. I only hit one shot short of 200 yards with the G400 and seven of them with my old driver, which probably explains the big difference in average distance. I haven’t changed anything about my swing recently so I have to attribute that to the G400. It simply launches the ball better on off-center hits. The low and back CoG really helps get the ball up in the air. My accuracy with the driver has gotten better with the G400, too. While my big left and right misses still rear their ugly heads from time to time, I hit less of them with the G400 and I averaged one more fairway hit per round. I’m hitting more greens in regulation as a result. Over the course of an entire season, I have a hard time picturing how that isn’t going to lead to lower scores. One off-center shot really sticks out in my mind: I caught one out on the toe and said something along the lines of “Ugh, toed it” to my playing partners. They said “nice shot” as we all watched push-draw its way 260 yards to the right-center of the fairway. I felt a little embarrassed about being “that guy” after that one. I too tried out the G400. I got a 9° version with an X shaft, which weighs in at a rather light 63g, particular considering that it’s 45¾” long. That’s a healthy sized driver, and I specifically didn’t ask for a 44½” driver like Bill because I wanted to test out “the new normal” in driver length. Well, the combination of the lighter weight and the longer length had me heeling a lot of my early tee shots. The slightly lighter (nine or ten grams) shaft wasn’t really the issue, as the club still weighs in at a D3 swingweight. I could still feel the clubhead fine. It was simply a matter of not being used to the extra ¾”. Once I gave that some attention, they boomed. Now, I was really, really impressed with the Callaway Epic Sub-Zero. I wasn’t sure what club, if any, would kick it from my bag. I’ve not put it back in since getting the G400. The G400 feels great, sounds even better, and is just as if not slightly more forgiving of my mis-hits than the Epic. Those heeled hits? I lost a few yards, tops, and most were just a few yards right of where I’d expect them to be. 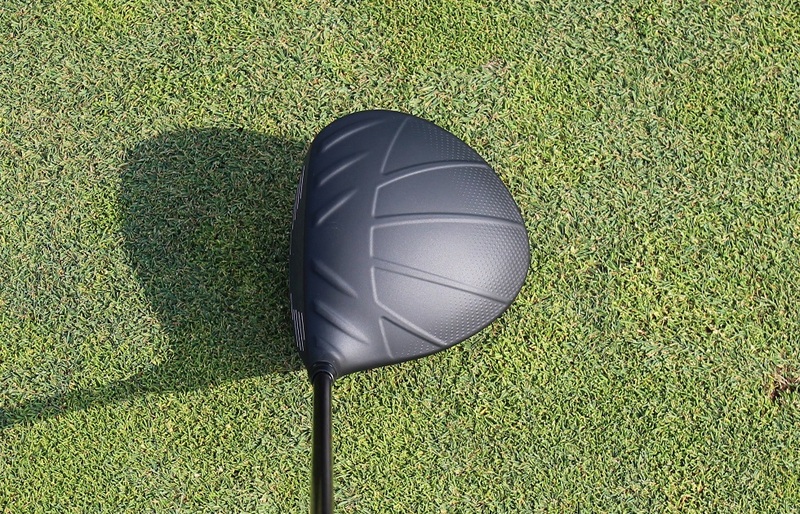 I like the G driver of a year ago, but the G400 takes what feels like more than an evolutionary step; PING has skipped a few in between stages and delivered a driver that shouldn’t have come out until late 2018 or early 2019. I’m very pleased with the way this club looks and performs, and am not looking to take it out of the bag any time soon. The PING G400 driver is the total package. Great looks, feel, sound, and most importantly, performance. There is a reason 12 PGA Tour players put it in their bags at the U.S. Open. It has instilled a sense of confidence with a driver that I’ve never had before. I’m always skeptical of marketing hype with new equipment releases. Every manufacturer wants you to believe they have the longest and most forgiving driver on the market. However, a lot of the hype seems to be coming from the golfers themselves, and not from PING (and let’s face it, PING’s marketing just isn’t prone to hyperbole). I’ve had more than one player come up to me on the range or the course and ask me about the G400. I always recommend that they demo it themselves. I’ll do the same for you, as well. The G400 is the real deal. I don’t think I’ll go as far as to say it will revolutionize my game, not like the first PING driver I had. I will say it’s a difference maker. As for my starter set of clubs? I paid it forward and gave it to a friend to get him started on the game. He got my G2, as well. He’s not getting my G400 though. I thought Ping was out of the “hard goods” golf market. Or was this club already in the works when they made that decision? I have a buddy who has a G3 and loves it. If this is going to be available, he’ll want to know about it. Gary, huh? Nike exited the hard goods market. PING is firing on all cylinders, with irons, hybrids, drivers, fairway metals, crossovers, bags, apparel now… putters, wedges… etc. I think you may have been thinking of Nike. Yup! It occurred to me after I’d signed off that I was thinking of Nike! And my buddy is still VERY interested in the G400! I’ve always liked Ping drivers for many years myself. I truly enjoyed our day at the Ping Campus while participating at the Newport Cup event 2015 testing their new line of clubs. have not discovered how good the drivers are! I honestly have been trying to keep it a secret so they do not gain an edge over ME…..
John, I have to agree that Ping makes some great drivers. If I had to put my finger on it, I’d say it’s because they’re not as aggressive in their marketing as some other OEMs. I haven’t been this excited about hitting my driver in a long time. I’ve owned the G400 for a month. I have not enjoyed a Ping driver since the Rapture V2 – the feel, heft, and sound of previous Pings did not motivate me to purchase, and I’ve played Callaway drivers for the last 4 yrs. I have bagged the Epic at 9.5 this summer. But my instructor asked me to try the Ping. We spent 3 sessions playing with heads and shafts in the midst of lessons- the 10.5, 9, Reg and LST heads, the Alta, the Ping Tour 65, and a new shaft called TPT Golf – it was more like a Prototype as they refine their tech. Back to the G400 – loved the soft, fast feel through the ball, and the sound is pleasing. I found the Ping launches higher than expected (I am set up to launch with a +4 or so AOA) and play a 9 degree. I have a one way miss with the Ping. I can get careless and leave the face open – and get a hard fade. Otherwise, I obtain an optimal high, straightish ball when I get my weight forward. When it’s back, I hit it lower on the face – that’s a personal swing issue. I have found the G400 just as long as Epic but the Ping is more consistent and with a one way miss; and because of that consistency, it is in my bag. With any driver, a fit shaft and comfortable length help contact, consistency, length. My G400 is played at 45 inches. To test, we sprayed foot powder on the face, and with the TPT Shaft, I was contacting center on a consistent basis. The Alta is a decent shaft but he had me try 2 Altas in the same flex, and one was consistently 3mph lower in swing speed. The Tour 65 was okay but lacked a smooth or any feel to me. I’ve been a Mitsubishi Rayon Shaft guy for too long – smooth with liveliness. The TPT shaft, even at 63g (I usually play 54g shafts) was solid and lively. Full disclosure – I am waiting for TPT to make a 54g shaft for a 90 SS. It’s a unique fitting system. 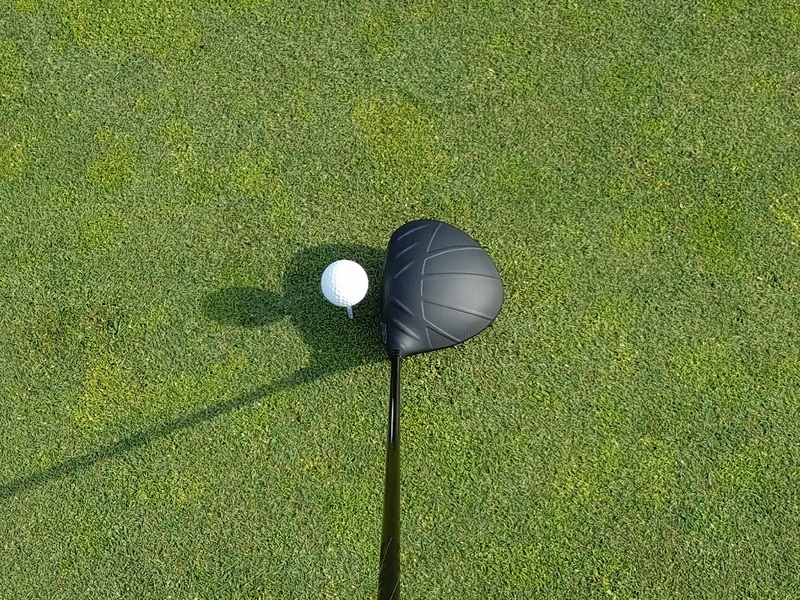 While most people seem to enjoy the Alta, Tour, or Torsion X shafts, it is your driver – it puts you in the fairway. Spend money, if you must, on a shaft you enjoy. Good luck! Try it, and then buy it! Of course, all of us take to drivers differently. Test the Ping. Correction with my above comment re the Alta shafts: I demoed two Alta shafts, same flex, same head, and the difference was 3 less mph in ballspeed, not clubhead speed. Think I’ve hit the longest drives in 12 yrs with this driver – part of it is a better swing. But I am slightly off target, so the swing is not that great. Think it’s partly a shaft issue – accustomed to 52g and mine is 62g. Still, the club is long and forgiving, and I hit the 9 deg with a 92 driver SS. roll out. MY QUESTION, what will I gain for my $400. I will appreciate any feedback. even I can do that math!!!! @purelogic I think what you will find over the 07 Burner is higher launch, lower spin and more forgiveness (higher MOI); pair it with today’s golf ball and you have a weapon. But you’ve got to demo, preferably outside, to find model (SFTech or Regular), loft, shaft and shaft length (grip down to experiment). You might be able to go lower loft than a 13.5 Burner – possibly 10.5. But once again, hop on a launch monitor. The Ping is also the sweetest feeling driver at impact – soft with speed and vastly improved sound. Good luck. @purelogic, I just wanted to point out that the +22 yards is a difference in the averages of all shots hit by both drivers in 15+ rounds of play each. I don’t want you to think I’m hitting every shot an average of 22 yards farther with the G400, I’m just not hitting 100 yard drop-kicks anymore because the club is so forgiving. I keep on hitting shots where I feel the contact wasn’t great but the ball ends up traveling a good distance. @Bill Chao. Thanks for the explanation. I find a lot of people assume this is what the distance increase from clubs is, so I am glad someone else is out there explaining things properly. Good review and accurate, too. I just got the SFTech version of the G400 in 10 degrees. It pretty much has eliminated the right side of the fairway which for me could be a terrible miss at times. Not no more, as my kids used to say. Great Review. I recently purchased the G400 LST 8.5* with the Tour 65 Shaft. I am 56 years old and have played golf my entire life. I play to a 5 handicap. My usual ball flight and distance is high with a fade and between 240 yards to 250 yards. Not much carry. I have played several drivers, mostly Cobra drivers and Pings drivers. I have played 4 rounds now with the Ping G400. WOW! The best driver I have ever played hands down. As the review stated, more consistent results off my mis-hits. Still finding the fairway. Sound and feel are exceptional. “Solid” is the best word. But the distance!!! More of a lower ball flight with less fade. This is the first driver that I am getting the ball to rollout after landing. My average drives are now 260 to 270. My last drive on 18 this past Sunday was just under 290. Plus I had two other drives in the round that were right around 280. It’s been years that I have put balls down the fairway that far. It is amazing how this driver has helped my scoring a bit with being 20, 30 or 40 yards closer each hole. Ping got it right with the G400!